Land mark 1 - Valley of the end -The destructive power displayed in the epic battle between Hashirama and Madara left a scar in the earth that would come to be called the Valley of the End. With the waterfall serving as a border between the Land of Fire and the land that was later known as the Land of Sound, the valley was later memorialized with two giant statues of the main combatants: Hashirama on the Land of Fire's side of the waterfall and Madara on the opposite side to symbolize his defection from their village. Land mark 3 - Konoha Docks -Located east, south, east of the fire country. Many people use boats, or ships to travel from and to the land of fire. Some may be on business trips while others wish to site see. Land mark 4 - Bounty Base -Located west in the fire country. The bounty base is a creepy, small building ducked off in the woods, it can be found on the side of a dirt road. Going inside the bounty base will give those who are on a bounty hunt info about who's wanted. Land mark 5 - Bamboo Forest -A peaceful passage way that is located south west of the fire country. It leads to the fire monk temple. Land mark 6 - Fire monk temple -A temple built with refined warriors burning with a passion to earn divine enlightenment. It is a peaceful group of men who train their meditative, and martial art skills. 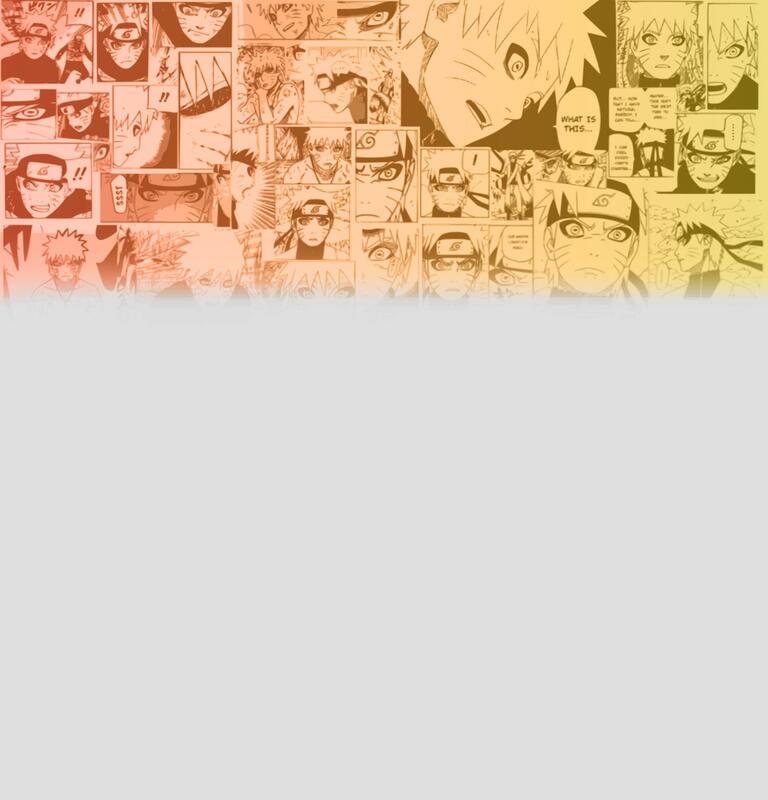 They are famous to the members of Konoha for their powerful fighting styles. They occasionally team up with the nio gurdians to patrol the outskirts due to their affiliation of the hidden leaf. Land mark 8 - Nio Gaurdian Temple -A famous temple where many people such as shinobi come to train The nio guardians also protect the outskirts of the fire village since they are allies of the country. Land mark 9 - Tathagata Oasis -A place filled with cherry blossoms and rocky ground structures with ponds filled with fish to compliment its beautiful scenery. Many couples come here to strengthen relationships, or men come here to propose to their wives. Tathagata Oasis is also a place for meditation which is good for increasing one's chakra level. Land mark 9 - The Great Plains - A vast field of grass surrounded by trees standing 47 ft tall. Looking down on the center of the great plains, the sun, and moon shine brightly at their respective times. Land mark 10 - Sunshine Town -A small town of unusually kind people. The town is mostly filled with inns, hot springs, restaurants, and antique shops. Land mark 11- Amon's Open Road - This is a quiet road which leads to many locations in the fire country, on both sides of the road are trees and animals running through them. Land mark 14 - Training grounds #33 - A large forest used for training a shinobi's senses to the highest capability, it is also full of dangers which adds elements such as fear to those who enter it. Training grounds 33 borders the forest of death. Land mark 16 - Kotetsu family business - A small house close to the borders of Konoha, it is a family full of black smiths who craft basic swords, and ninja tools. 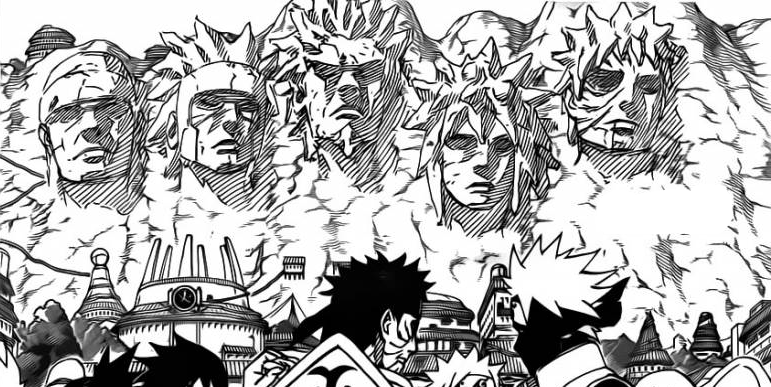 Land mark 17 - Hokage Monument- Konoha's eye-catching landmark, the great stone-carved faces of the Konoha's successive Hokage loom over the village and watch over it from their place on the mountain..
Land mark 17a - ANBU HQ- Hidden deep within the monument lies ANBU's secret headquarters. A large earthen structure that only ever sees artificial light, it makes for a foreboding place that only members of ANBU and high-ranking officials of the village are aware of. Land mark 17b -Evacuation Shelter- Built into the higher levels of the monument, this passage allows for the safe evacuation of civilians and young children in the wake of a direct attack on the village. It is stocked well with supplies and littered with traps to cut off pursuit in case of emergency. Land mark 18 -Aviary- The center of communications, this spiraling structure houses hundreds of different birds, individually named and color-coded for their speed and efficiency in delivering messages. Land mark 18a -Academy- A complex collection of interwoven buildings, the Academy encompasses more than just the classrooms for its up-and-coming students. It also plays host to foreign dignitaries, with spacious meeting rooms, and houses the village's impressive library for research. Land mark 18b -Hokage Tower- The administrative center of the village, the Hokage spends most of their time here making appointments, organizing and assigning missions, receiving reports and issuing orders. They're supported by specially selected staff. Land mark 19 -Konoha Hospital- The first place to look for medical care, everything from routine check-ups to risky operations are performed by Konoha's skilled medical staff. Land mark 19a - Police Station- Run primarily by the Uchiha clan, they help ease village discord among civilians and shinobi alike, and are among the first to react to crisis. Land mark 19a - Library- Run primarily by the Uchiha clan, they help ease village discord among civilians and shinobi alike, and are among the first to react to crisis. Land mark 20 - Stadium- Generally used for the Chuunin exam finals, this domed structure lies mostly abandoned and is only occasionally used as a practice ground or for large demonstrations. Land mark 20a - Park - Large, winding stairs makes up half of Konoha's official park. It offers great views of the village and it's often a quiet place to relax, with the children's playground situated on the far side of the area. Land mark 20b - Hot Springs District- A branch of the Naka river is diverted here, the water heated throughout an entire district made up of onsen and specialty stores. It's the perfect tourist attraction. Land mark 21 - Red Lantern- Konoha's most popular bar and located just down the street from the Jounin Station. 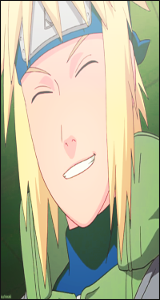 Needless to say, many of Konoha's elite can frequently be found here in varying degrees of sobriety. Land mark 21a - Tea Avenue - The assortment of food stands and restaurants along this road make for one of Konoha's busiest streets. Land mark 21b - Ichiraku Ramen- The best ramen in all of Konoha, this food stand boasts noodles that some say can rival the Land of Noodles. Land mark 21c - Milani Forge- Stationed next to the Naka River, the Milani Forge specializes in weaponry and provide some of the best equipment in the village. Land mark 21d - Shopping District- A large, multi-level marketplace where shops and stands sell everything from basic weaponry or clothing to toys and imported wares. Land mark 22 - Jounin Station- This is where the village's Jounin are usually housed and remain during off-duty hours. Located so closely to the Hokage Mansion, they're able to react quickly in times of crisis. Land mark 22a - Hokage Residence- Contrary to popular belief, the Hokage doesn't actually live behind their desk. They have a separate, designated building to eat, sleep, and study when time permits. Land mark 22b - General Residence- A set of buildings where people of konoha, and academy students along with genin-chunin stay in. Land mark 22c - Guest Apartments- A set of buildings set aside for foreign shinobi and visitors. Located near the village gate closest to the travel seal.- Contrary to popular belief, the Hokage doesn't actually live behind their desk. They have a separate, designated building to eat, sleep, and study when time permits. Land mark 23 - Hyuuga Compound- Located in the heart of the village, white walls close off unwanted eyes and noise. Casual passersby will not be permitted and attempted intrusions are not advised. Land mark 23a - Nara Forest- The vast forest that stretches east of the village belongs largely to the Nara clan. Known for their contributions to medicines and their manipulation of shadows, only members of the clan are allowed entry. Land mark 23b - Kurama Clan- A small clan possessed of talented genjutsu wielders, they often keep to themselves in this secluded part of the village. Land mark 23c - Uchiha District- Unofficially the designated residential zone for the Uchiha clan, they -unlike some other clans- live peacefully among the civilian residents of the village. Land mark 23d - Akimichi Estate- A grand estate that displays the power and prosperity of their clan, the Akimichi make for the kindest hosts a guest could ask for- if a little overly passionate about food. If ever invited, bring an empty stomach. Land mark 23e - Aburame Clan- Content to live in a small, forested part of the village, the Aburame are an isolated clan that have reached an unspoken understanding with the surrounding villagers- peace in exchange for a contained bug population. Land mark 23f - Inuzuka Holdings- Quite unlike the Aburame, the Inuzuka clan are a wild bunch and take up considerably more space with their canine companions. Cat owners beware. Land mark 24 - Memorial Stone - A large, glossy stone inscribed with the names of heroic shinobi that were killed in action in the defense of their village. Land mark 24a - Cemetery- A large, grassy field where Konoha's fallen shinobi are visited by their friends and family. The library is a location where characters can build on self, and world knowledge. Building knowledge helps characters gain advantages in battles by knowing a lists of jutsu and past world history. It is extremely beneficial for characters to read books of all kinds so they can learn the fruits of having knowledge. It is without a doubt character's will suffer from injuries, and sicknesses that only highly trained professionals can deal with. Most RPC's will be sent to the hospital at times in order to get transplants done, or to get surgery done. Either way, you've come here to rest up, character's can be in a hospital for 2-3 days (real time) depending on the sustained injury. Character's can role-play going in all sorts of venues, by entering a food shop and buying something to it, it can restore character health by certain percentages depending on what you ate. Engaging in village activities, character's have chances to earn titles that are only unique to them. Village missions can be found in your countries mission boards which are created by your kage, and yourselves. Titles can be limited so you must claim them quickly, and even then they still aren't official because you only have a 24 hr period of getting these tasks completed.